If something has the potential of generating more sales, you’ll do anything to make it happen. Designing a ticket that’s worth keeping is one of those things. 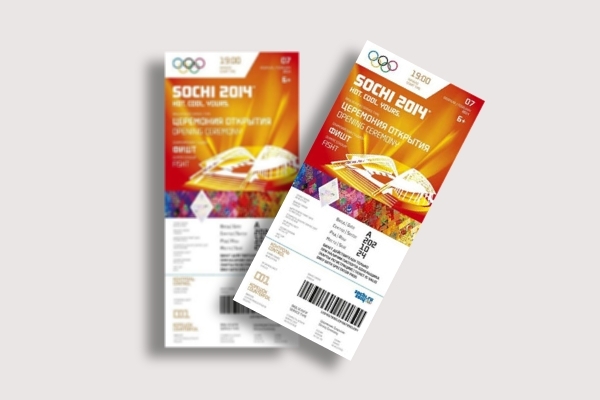 The aim of a ticket design is to boost one’s excitement towards an event and prevent the ticket from being thrown away. 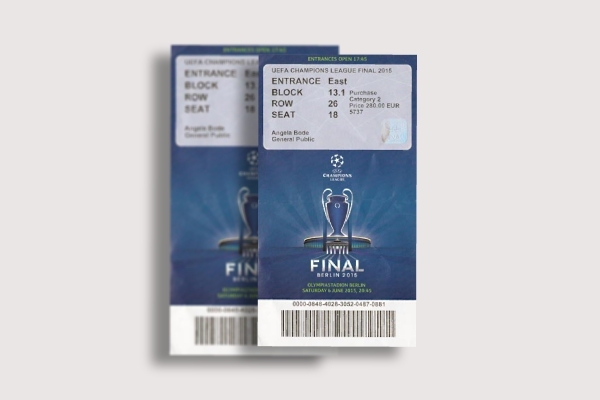 However, this is what makes the art of ticket design a challenge for even the most creative designers. Though you can’t expect to master the craft overnight, you need to start somewhere. In this article, we look into the basic elements of a ticket along with a few design techniques to help you out. 1. 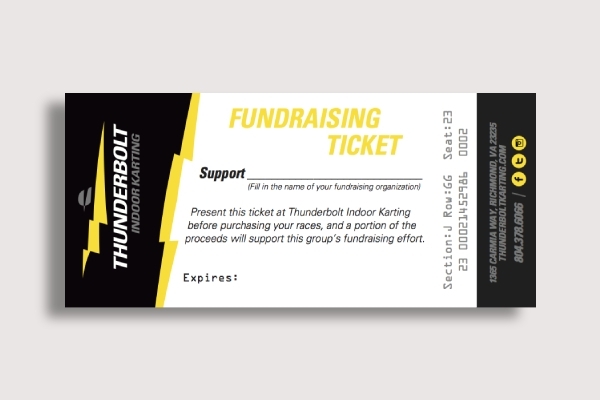 Heading: In an event ticket, the name of your event must be written at the center of your layout. This tells a buyer what the ticket is for in big and bold letters. The heading should serve as an introduction to the place, event, game, or activity that the user is about to experience. 2. 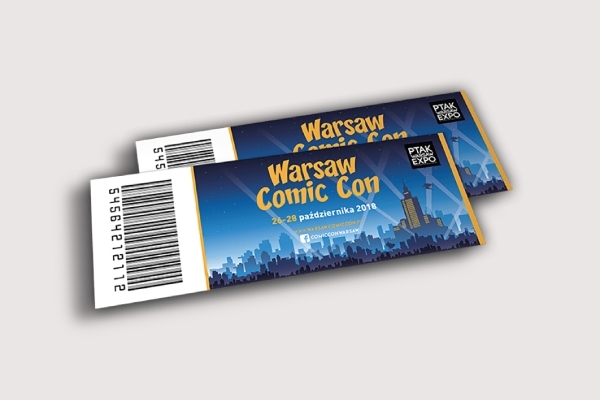 Ticket Details: The information on a ticket may vary from purpose to purpose. 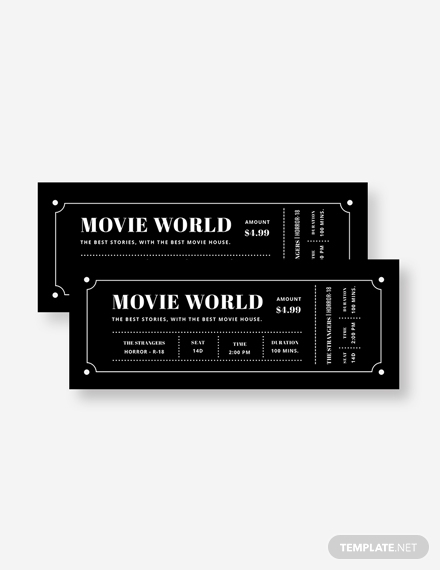 Generally, this part contains details about what the ticket is made to cover, such as the time and date of the event, venue, seat section, and selling price of the ticket purchased. 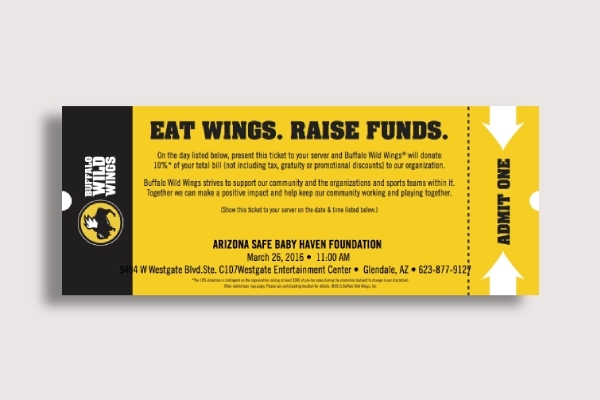 This can also include the organizer’s business logo and company tagline for branding. 3. 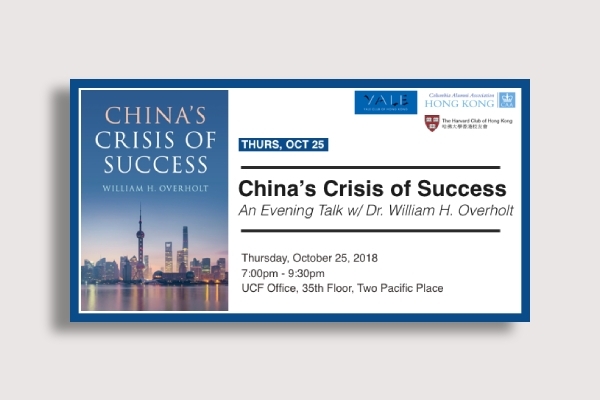 Graphics: It’s not unusual for ticket sellers to produce plain, black-and-white ticket designs in an attempt to save money. 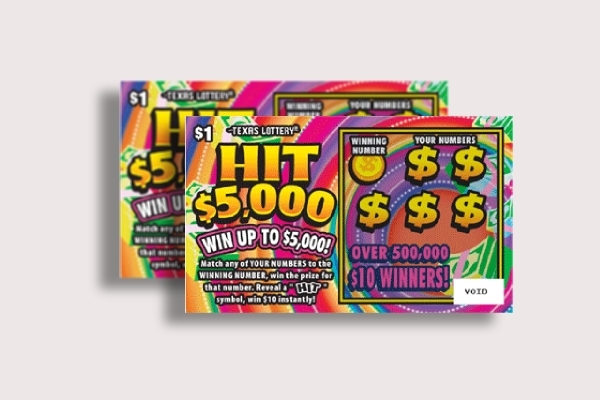 While this may be common among community raffle tickets and low-budget concerts, it isn’t exactly the best approach for grabbing your market’s attention. 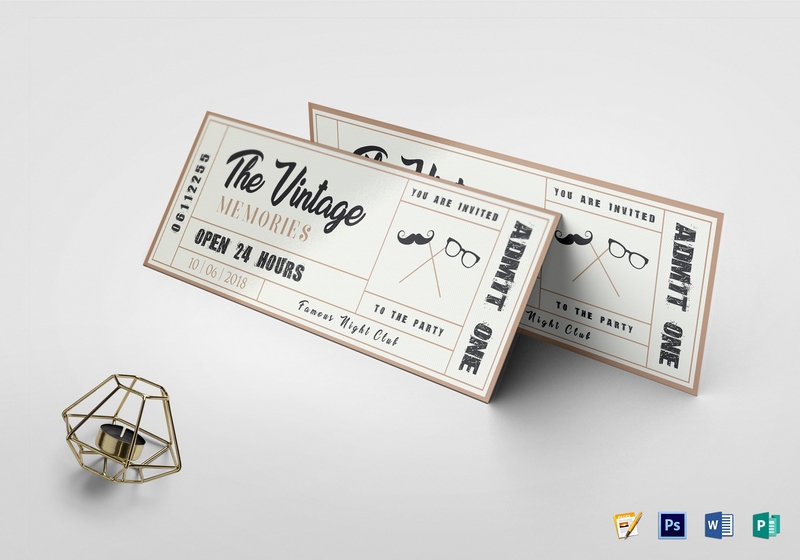 A good ticket design should have the power to intrigue viewers and convey the right message through captivating visuals. 4. Ticket Number: One way to measure the success of your event is to monitor the number of tickets sold. 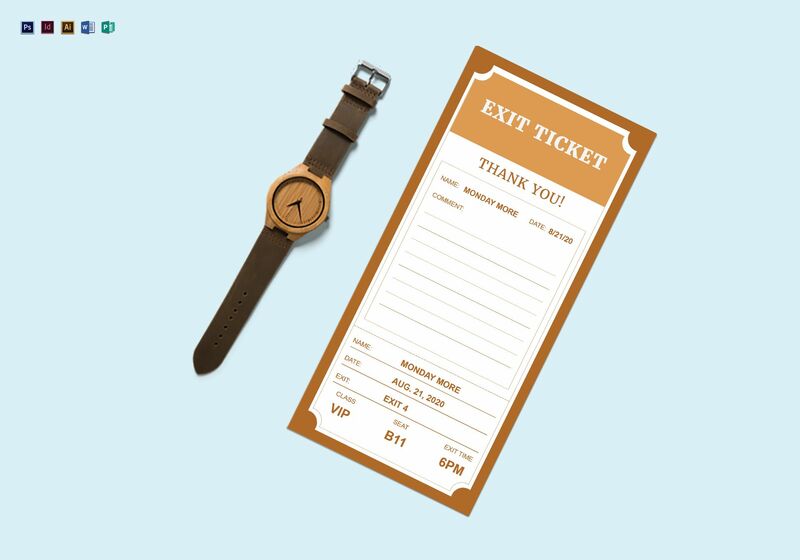 However, you must be able to track each ticket and verify its authenticity using a unique identifier. This can be a bar code or a serial number, depending on what you believe is most effective. 5. Terms & Conditions: It’s important set some ground on how the ticket may be used. Other than the right to occupy space at or to attend an event, this serves as a disclaimer for readers to know where they are and what to boundaries not to cross in agreement. These terms & conditions are sometimes printed on the back of the ticket for guidance. 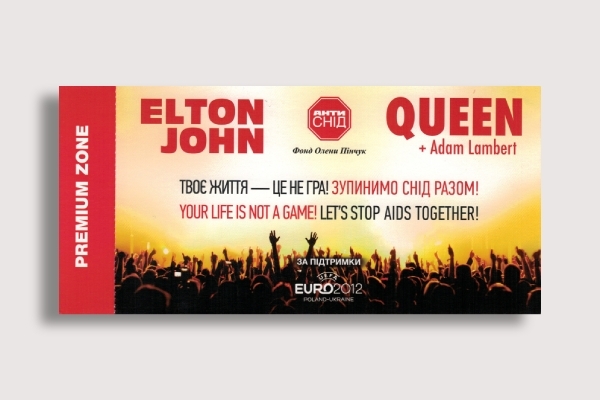 You may also see live concert ticket examples. Use a suitable orientation: The best way to decide between a portrait or landscape orientation for your ticket is to determine what you want to relay to your audience. A portrait orientation can easily accommodate shorter pieces of information, while a landscape orientation is more suitable for tickets that require multiple lines of information.You may also see admission ticket examples. 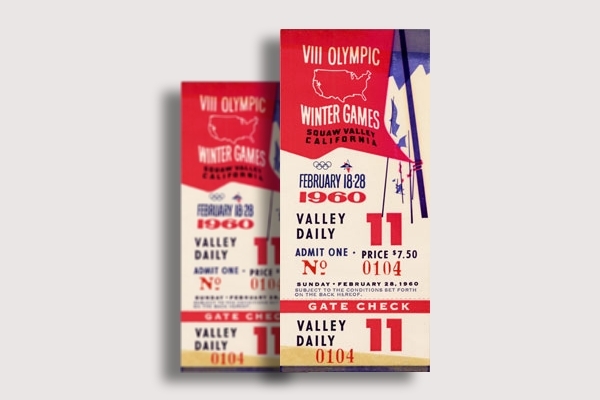 Make important information visible: The main purpose of a ticket is to inform readers about the specifics of an event. To make it easy for people to find, you can apply a larger font for emphasis. Different design techniques can also help highlight these details using styles or patterns that will draw attention to your text. 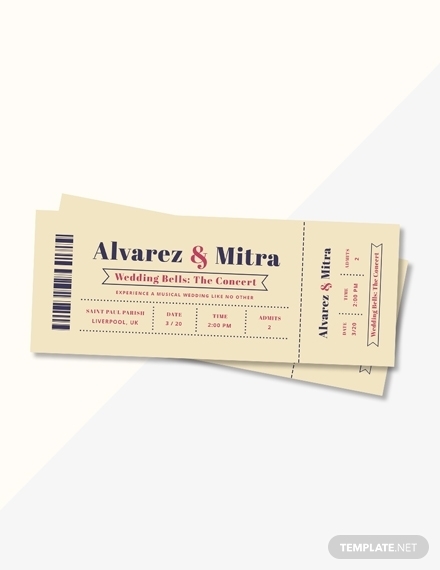 Choose an appropriate font color and style: Maintain readability with your content by using fonts that create a contrast between the text and the background of your ticket. Be sure to explore the fundamentals of typography to find out what works best. 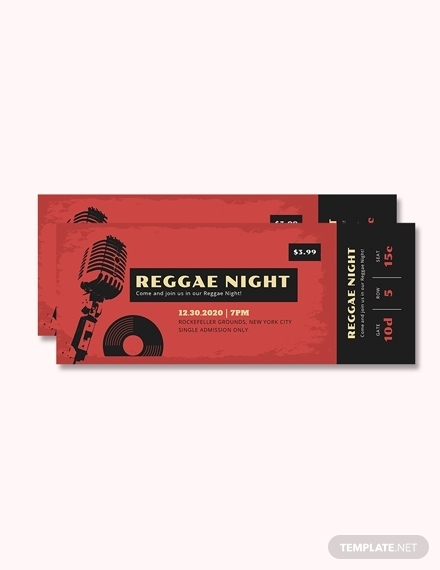 Use a strong and relevant primary image: Create a focal point for your ticket design by choosing an image which pertains to the matter being represented. 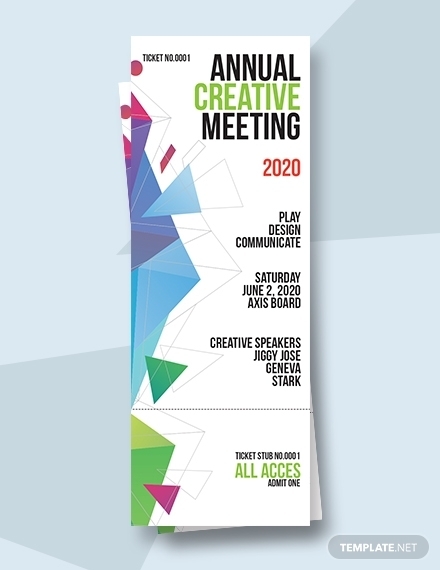 It doesn’t have to be a photograph or a vector image, as you can always use a stylized version of your event name instead. You may also see vintage ticket examples. Apply white space as necessary: This refers to the spaces without text that adds balance to your overall layout. 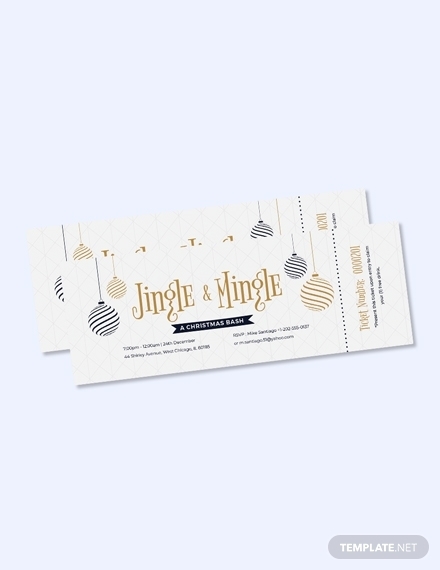 Apart from making your ticket attractive, white space also makes it easier for readers to absorb your copy. What are the things that require a ticket? 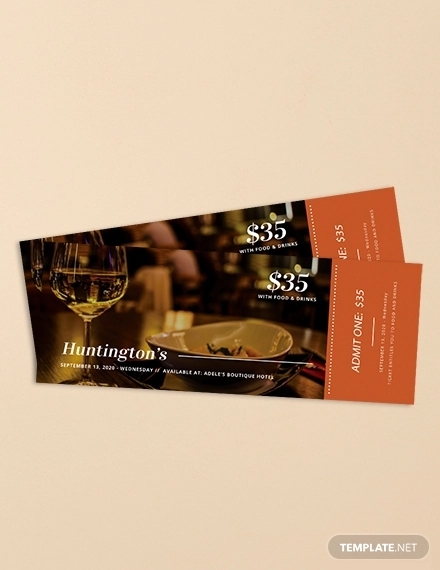 A ticket can cater to various functions. This usually depends on the circumstance you are in. You can use tickets to watch movies, ride transport vehicles, attend events, redeem prizes, or enter games. A train ticket, for example, is needed for a traveler to be permitted to get on the train. Tickets are used to ensure the safety and security of those concerned. Tickets purchased online usually come in the form of a voucher. Though this may be a good alternative to its printed counterpart, some people like to keep a physical copy of the ticket just in case. If you happen to be responsible for producing these tickets, make sure to print them in bulk to save on costs. Most printing firms offer incredible discounts for orders in larger quantities, so you might want to take advantage of the promo. 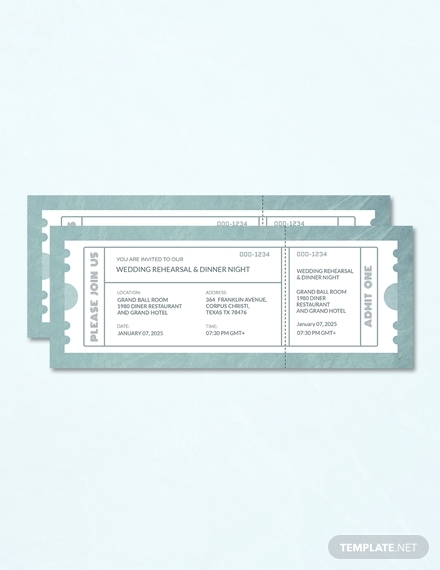 With the help of the tips above and a touch of your own creativity, designing tickets for any type of function should be a breeze. 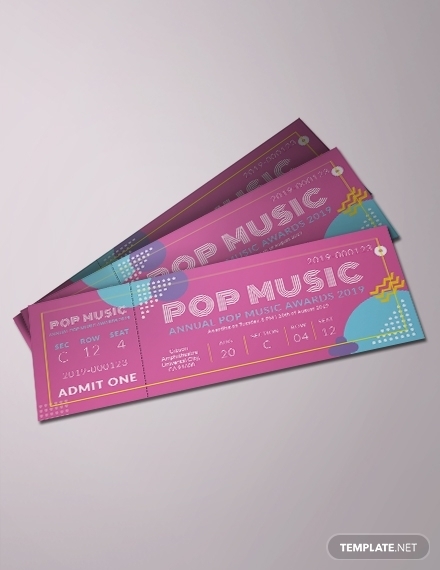 Don’t hesitate to use the templates provided to design your tickets with ease.